Ninth ranked Independence (8-0) raced past #10 Seward (7-1) 69-65 Friday afternoon at the Perryman Center in Garden City. Seward shot 52 percent in the first half and led by eight twice 25-17 and 28-20 before leading 36-35 at intermission. But the Lady Saints shot just under 30 percent in the second half as Indy would lead by as many as nine at 53-44. Seward’s Ashlynn Knoll led the Lady Saints with 24 points and nine rebounds. Mariah Lee added 16 points. 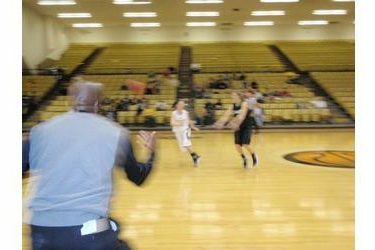 Seward turned the ball over 21 times while the Lady Pirates committed 15 turnovers. Indy beat Seward 74-53 last year. The 7-1 Lady Saints play New Mexico Junior College Saturday at 1:30 on B107.5 and kscbnews.net.